Two young kids of two of my best friends. Their parents didn’t choose their names regarding their possible characters association or meaning, but we can’t put aside that today’s society is full of stéréotypes or clichés. 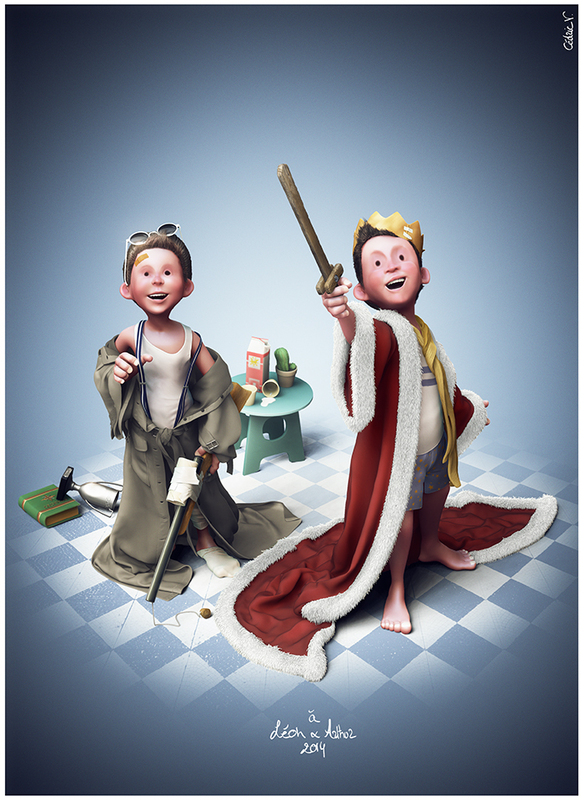 The scene is done and rendered in Zbrush. I used 3dsmax for basic modeling and marvelous designer for some cloth simulation. Hair is Zbrush’s fibermesh. Post done in Photoshop.